Tuesday, February 05, 2019 @ 10:00a.m. Wednesday, April 17, 2019 @ 10:00a.m. Thursday, June 06, 2019 @ 10:00a.m. Thursday, August 08, 2019 @ 10:00a.m. Thursday, October 03, 2019 @ 10:00a.m. Thursday, December 05, 2019 @ 10:00a.m. Thursday, March 07, 2019 @ 10:00a.m. Thursday, May 09, 2019 @ 10:00a.m. Thursday, July 11, 2019 @ 10:00a.m. Wednesday, September 04, 2019 @ 10:00a.m. Wednesday, November 05, 2019 @ 10:00a.m. Tuesday, February 05, 2019 @ 6:00p.m. Tuesday, February 19, 2019 @ 6:00p.m. Saturday, March 02, 2019 @ 10:00a.m. Tuesday, March 19, 2019 @ 10:00a.m. Saturday, April 06, 2019 @ 10:00a.m. Monday, April 29, 2019 @ 6:00p.m. Thursday, May 09, 2019 @ 6:00p.m. Tuesday, May 28, 2019 @ 6:00p.m. Saturday, June 15, 2019 @ 10:00a.m. Tuesday, June 18, 2019 @ 6:00p.m. Thursday, July 11, 2019 @ 6:00p.m. Saturday, July 20, 2018 @ 10:00a.m. Thursday, August 15, 2019 @ 6:00p.m. Wednesday, September 04, 2019 @ 6:00p.m. Tuesday, September 24, 2019 @ 6:00p.m. Saturday, October 19, 2019 @ 6:00p.m. Tuesday, November 05, 2019 @ 6:00p.m. Saturday, November 23, 2019 @ 10:00a.m. Thursday, December 05, 2019 @ 6:00p.m. Tuesday, December 10, 2019 @ 6:00p.m. Tuesday, February 19, 2019 @ 10:00a.m. Wednesday, April 24, 2019 @ 10:00a.m. Tuesday, June 18, 2019 @ 10:00a.m. Thursday, August 15, 2019 @ 10:00a.m. Monday, October 21, 2019 @ 10:00a.m. Tuesday, December 10, 2019@ 10:00a.m. Maddox is a friendly child who loves to engage in conversation. Maddox loves being outdoors where he can ride his bike and fish. He also enjoys reading books and playing video games. His favorite foods are pizza and just about anything from McDonald's. Maddox does well in school but does benefit from extra support in the school and home setting. He is looking for a family that will help him reach his full academic potential. Maddox says that he wants to be adopted and would like two parents and would like other children in the home. Maddox is looking for a family that will provide him with love and patience. Michael is a quiet creative teenager who enjoys making different items. Like most teenagers he loves video games however, his love for video games extends to graphics and quality of the video games. Michael is ready for a new start and a fresh beginning with a family that will meet his needs. He is a loving child and wants a family who can assist him with reaching his full academic potential. Michael is looking for a forever family who is loving and patient. Are you the family for Michael who is willing to offer him unconditional love and support to assist him with transition from a teenager to adulthood? Michael is an extremely intelligent teenager and a gentleman of few words. He is in high school and excels in school is very his use of verbal expression. Michael is in high school and he does very well academically. His love for math and science will be needed because he desires a career in engineering and on the more technical side of things, welding. Outside of the classroom, Michael likes to stay active in sports, especially soccer. He also enjoys the arts and takes great interest in drawing, music, and listening to live bands. When he's not engaged in any of the previously mentioned activities, video games are a definite go-to, like most teenagers his age. Michael is interested in the ability to have a forever family that can assist him through the twist and turns of the transition from teenager into adulthood, and each day thereafter. Charles is an intelligent active teenager who would love to be part of a family unit. He particularly enjoys family “get togethers,” and other everyday activities that include the whole family. Like most youth his age, Charles enjoys video games, but definitely not more that outdoor activities. He likes bowling, going to the movies, and exploring “the country area of Louisiana” where open fields and farm animals can be observed at close range. Other favorite activities Charles enjoys are hunting, fishing, and riding his bike on a sunny day. He loves the game of baseball, and would like to play on a baseball team someday soon. Charles is most successful when he has center stage and the undivided attention of the adults in his life, especially his parents. He does well in school academically, but sometimes finds it hard to sit still after he is done with his school work because he’d rather be outdoors. Charles is excited about the possibility of having his very own family, but wants his potential parents to know that he needs them to be active, supportive, and committed to the very end. Despite his independent nature, Charles would love a family that will patiently help him to navigate successfully through his life’s journey. Channea'yah is a sweet active eight-year-old girl. She is outgoing and talkative. She has big beautiful eyes and a bright smile. She is engaging and loves to talk. She enjoys playing outside and swimming. She enjoys coloring and making crafts. She is an honor roll student. She lives with two of her sisters and wants to be adopted with them. Kevina is a sweet precocious four-year-old girl. She has big beautiful eyes and a bright smile. She is friendly and talkative. Kevina is easily engaged and loves to socialize. She likes princesses, playing outside and swimming. Kevina can be strong willed and determined, however she reposed well to redirection and praise. She is intelligent and is eager to learn. She is the youngest of three sisters who want to be adopted together. Zachary is a happy and healthy twelve year old Caucasian male. He enjoys playing all sports, hunting, fishing, and just being outside. Zachary is an animated and active boy. He loves food and he has expressed he would eat just about any type of food but lists his favorite as seafood. Zachary is seeking parents who are willing to spend extra time assisting him to achieve his fullest potential academically. Zachary states that he wants to be adopted into a family with other children. He is excited to be a part of a forever family. This is Ky'Mdra he is a very fun and energetic nine year old. He has a lot of energy and he is looking for a forever family who can match his level of energy. He has some challengers in regards to education and will need a family who will ensure he reaches his full academic potential. This fun loving kids wants a family who is patient and willing to give unconditional love. Ky’Mdra has an eleven year old brother and it is the desire of both children to remain together to maintain their family connection. Schuvontron is a very active 11 year old who requires lots of attention. He has some educational challenges and would love to have a kind and sweet family who will assist with his educational goals. He does well in a nurturing and structured environment. Schuvontron simply needs a family that can offer patience, consistency and love. Overall both children have a lot of love to give and want to remain together. ​Adalyn is A 14 year old energetic teenager with an outspoken personality. You might find this beautiful teenager wearing her favorite color, blue and eating her all time favorite foods, chicken nuggets and pizza. Adalyn enjoys spending her pastime reading especially short story novels and watching television. But don't be fooled because when outdoors she loves playing basketball, football, doing cart wheels and round off flips. Adalyn has expressed a desire to become a police investigator in order to help people by solving crimes. This academically strong student would like a single or two parent family that can provide nurturing, unconditional love, and support in a structured environment. Lavontray Rose is a 16 year old black male with a lot of personality. He is open to adoption and is very excited to have a forever home. Lavontray is a very outgoing and fun person who enjoys dancing, the cheer team at school as well as the track team. He also enjoys the drama club and would love to be a dancer, singer, or actor one day. Lavontray is very active and he would best suit parents who can keep up and support his ongoing activities. He is open to families in and out of the state of Louisiana. ​Antwon is a high energy seven year old boy. He and his twin brother love sports and super hero. Antwon enjoys playing basketball and riding skateboards. He is energetic and engaging. He is affectionate and craves the affection and attention of the adults in his life. He has a passionate personality. Antwon is in the second grade. He struggles academically and requires parents who are committed to working with him and advocating for him. Antonyo is the twin brother of Antwon and like most brother they scare similar interest. Antonyo likes playing basketball and playing with toy race cars. He is affectionate and talkative. He craves the affection and attention of the adults in his life. Antonyo is energetic, engaging and is excelling academically. Both brothers are looking for a forever family where they both can thrive and reach their full potential. Conner is a happy, energetic twelve-year-old male. He is intelligent and inquisitive. Conner loves playing with Legos, playing video games, watching television and fishing. Conner is an affectionate child. He likes to keep busy and has lots of energy to burn. Conner is currently in the 7th grade. He is very bright but needs parents who will keep him focused academically. Conner has a good appetite. His favorite food is pizza, although he is not a picky eater. Conner is friendly and adjusts easily to others’ homes. He likes meeting new people and showing them how to play games on the tablet. Conner would benefit from a one or two parent home. He would need compassionate parents who are able to provide him with close supervision, support, guidance and unconditional love. For additional information contact Patricia Hebert, Adoption Recruiter at (337) 366-2001 with the LA Department of Children and Family Services. Christopher is a very fun, enthusiastic and polite young gentleman. He has a lot of energy and he is looking for a forever family who can match is level of energy. 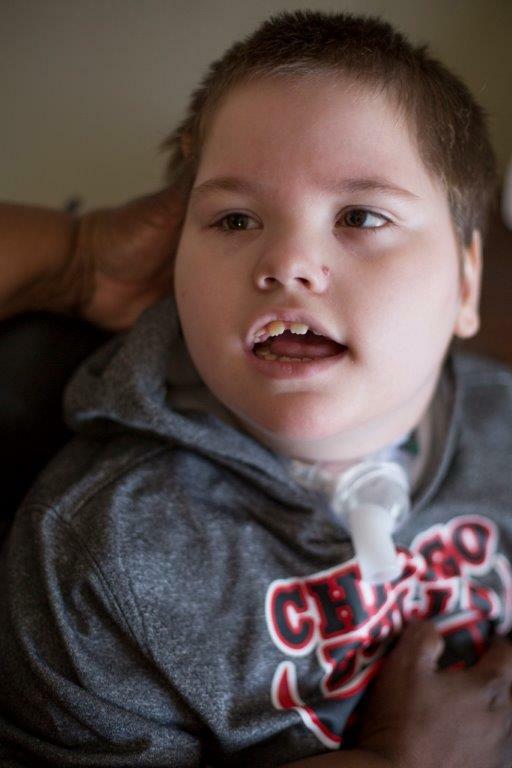 Christopher enjoys playing and watching all sport especially football, baseball and basketball. He enjoys playing video games, pizza and grilled cheese sandwiches. Christopher will need a family who is willing to assist him with reaching his full academic potential. He is a very caring and thoughtful child who loves dancing and being the center of attention. Christopher is looking for a forever family who is willing to provide him with unconditional love and patience. Jammaisia is a friendly fourteen-year old female that has a variety of hobbies that keeps her active. She loves to play outside and ride her bicycle. Jammaisia also enjoys playing video games, computer games, singing, listening to music, riding her scooter and running on the grass. She’s outgoing and active and plays basketball and baseball. Jammaisia is in the ninth grade and her academic performance is average. She struggles with the subjects of Math and Reading, she would benefit from extra educational support to keep her on target. Jammaisia has several friends and gets along fairly well with them. She is a big helper around the house. Jammaisia has an open mind about adoption. The ideal family will have a wealth of patience and understanding as Jammaisia learns to trust and adapt to a new environment. Meet handsome, athletic, and inquisitive Riley. He enjoys playing sports but his absolute favorite sport is basketball. This young man has a love of music and he takes pride in knowing various artists. Riley is a huge animal lover and hopes to be in a family that will allow him to have a pet dog. Riley is looking for a supportive family who will assist him with reaching his full academic potential. He is open to adoption and is looking for a family who is kind, loving and patient. Overall Riley is a typical teenage boy looking for a forever family. Dylan is a fun loving kid who enjoys sports. He is an athlete and he plays on his local recreation center football and basketball teams. Dylan is quiet and shy however, he does not mind rolling up his sleeves and helping with chores and volunteering to help others. 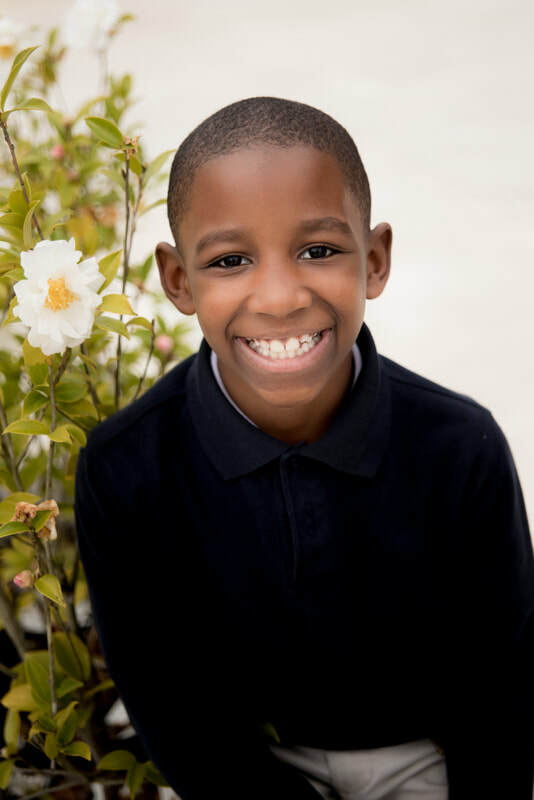 He is looking for a forever family who is willing to assist him with reaching his full academic potential. Dylan is a kid with a big heart and he is looking for a loving forever family to share his love. Are you willing to be the family that will make a difference in his life? Brandy is a fun and loveable little girl with a lot of love to give. She is full of energy and looking for a forever family who can match here level of energy. She is a playful jokester with a contagious laugh who loves to have fun, singing and dancing. Her favorite food is a burrito and enjoys other foods as well. Brandy enjoys going on family outings and activities. Brandy is very talkative so she is looking for a family that is willing to listen and offer unconditional love. Are you ready to open your heart and home to this fun loving little girl?